Josiah Erickson wants to be a movie star. The problem with that is so does half of Los Angeles. But he’s on his way, what with memorable roles as a TV show background cadaver and a guy in a commercial for herpes medication. All he needs is his big break. And that break may come in the form of a novelist who goes by the enigmatic name of Q-Bert. From the City of Angels to the small mountain town of Abby, Oregon, Josy will give his all to make sure his dreams come true—even the ones he never thought possible. Look, I could try and write some eloquent review where I go on and on about how wonderful this book is. I could add in all the little things I loved, all the things I cried over and those other things I smiled huge. But all I want to do is jump on the rooftops and scream at the world that they need to read this book. This is one of those stories where, when you are reading, and then when you finish, you feel like this book could end wars. You feel like it could make literally EVERY PERSON IN THE UNIVERSE SMILE AND HUG THEIR NEIGHBOR. You feel like if you don’t buy this book and force everyone you know to read it, you’d not be a good person because you guys… this is how I feel right this moment. 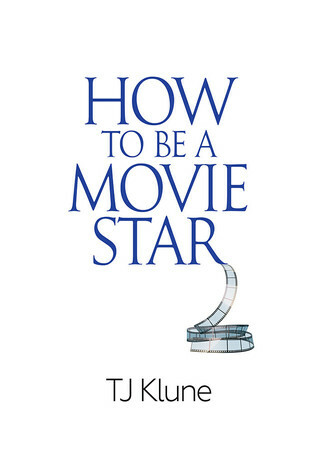 How to Be a Movie Star is delightful in a similar way that Normal Person was, only it could be even sweeter. I don’t know because it’s been a while since I read that book. (I might have to go back and read it again soon because I don’t want to leave these guys.) See, it’s all Josy. He’s the absolute best person a person could be. He’s the nicest person. He’s open and honest, caring and kind. He’s got, as fans of this series would know, the best family he could ever ask for. Not his parents, nope, not them. But Casey and Gus, We Three Queens, Serge and Xander, Lottie, and even Starla, his agent… they’re the best friends and family in the world. And then he meets Q-Bert. The wonderful Quincy is awkward, shy, suffers from anxiety and depression, and is the perfect match for Josy. They actually make each other better people. They make each other *want* to be better people. Their connection is incredibly cute, their friendship so inspiring, their crush for each other and feelings made me feel all warm and squishy. Their story is literally happiness. It’s all happiness! While Josy and Quincy are in Abby filming this super weird movie that when we get glimpses of I honestly want to see a it happen for real, the feelings grow stronger and stronger. Their friendship solidifies and great things happen. There is literally no angsts to speak of, and I think that’s mostly because of the way Josy is…he’s just so open and understanding. He might get sad from time to time, but he knows he has a great support system in his little family of friends, so he’s secure in a way that I wish more people could be. If anyone wanted a class on how to be a good person, they’d just need to try and be more like Josy. Literally everything about this book made me happy. I laughed so much while reading it. I cried a little too, but I think a lot of those tears were because something amazing and beautiful was happening and, seriously, how can you NOT cry when something amazing and beautiful happens? So here I am, shouting from the metaphorical rooftops, asking you all to read this book. It is happiness making. It is beautiful and so pure with love and friendship that my heart will be forever warm every time I think about it.